If you hear the bells ringing it is not because Santa Claus is coming to town but it’s because IKIS is calling you for the next JULEBORD “all’italiana”. Christmas is just around the corner and we would like to celebrate it with you. 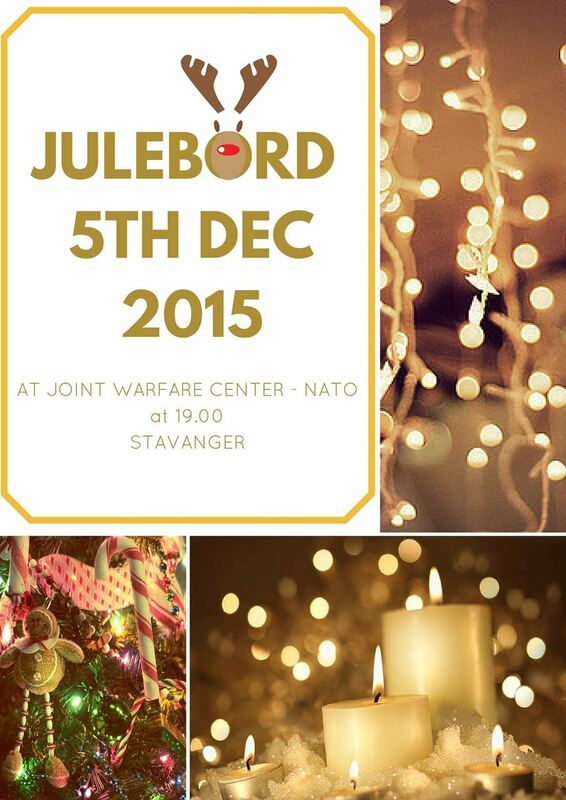 This year we have chosen a special venue for that night: The Joint Warfare Center – NATO. Just let the smell of the Italian food wash over you and we are sure that you will like it. As tradition, after dinner the night will end with the Tombola (Italian bingo). Don’t make any plans for Saturday 5thof December at 19.00 so join us and we’ll have a great time together.